For C.J. Wilson, the Signature Theatre Company’s new Frank Gehry-designed complex- The Pershing Square Signature Center in New York- has been his home away from home since January 17th. That’s when he began rehearsing for his role as Fred in Signature’s revival of Edward Albee’s The Lady From Dubuque, starring Jane Alexander in the title role, and featuring Catherine Curtin, Michael Hayden, Peter Francis James, Tricia Paoluccio, Laila Robins and Thomas Jay Ryan. The Lady From Dubuque began preview perfomances on February 14, was twice extended, and closed on April 15th. Little did Wilson know at the time that he would be cast in the world premiere of Kenneth Lonergan’s new comedy Medieval Play, which Lonergan is also directing. Against the classic comic background of late 14th century ecclesiastical politics, Lonergan’s Medieval Play follows the story of two French mercenary knights who set out on a quest for relative moral redemption. It is a story of friendship, love, noble feats of arms, indiscriminate brutality, the progressive refinement of medieval table manners and the general decline of the chivalric ideal at the onset of the Great Papal Schism of 1378. When I met up with Wilson in the Café of the Center during his dinner break, he was in the throes of tech – navigating swords, shields, suits of armor and endless costume changes. In addition to Wilson, the cast includes Anthony Arkin (I’m Not Rappaport, The Waverly Gallery), Heather Burns (Middletown, Lobby Hero), Tate Donovan (Good People, Lobby Hero), Kevin Geer (Unconditional, Twelve Angry Men), Halley Feiffer (The House of Blue Leaves, Tigers Be Still), Josh Hamilton (The Coast of Utopia, The Cherry Orchard) and John Pankow. Wilson caught the acting bug when he attended Troy State University in Alabama. A graduate of Juilliard, Wilson has worked steadily in theater, film and TV, making his Broadway debut in the 2000 revival of Gore Vidal’s The Best Man. His other Broadway credits include A Steady Rain, Festen, Henry IV and Long Day’s Journey Into Night. Off-Broadway, he appeared in All-American at LCT 3; The Bear at HERE; Offices and Voysey Inheritance at Atlantic Theater; Race at Jewish Rep; Stop Kiss, The Cripple of Inishmaan and The Merry Wives of Windsor at The Public. 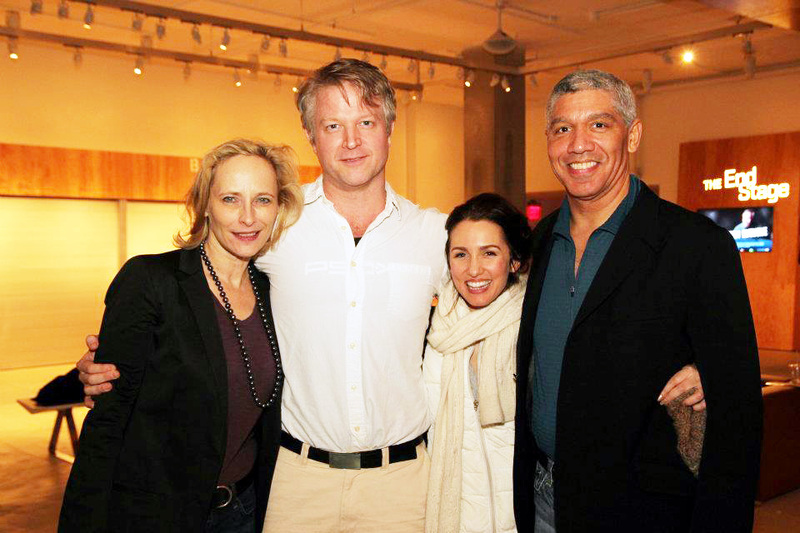 In 2010, Wilson received a Lucille Lortel nomination for his role as Michael, in Primary Stages’ production of Lucinda Coxon’s Happy Now?. “I played this British ne’er-do-well,” said Wilson. “He was funny, charming and genuinely loved women. It made it easier for women to like him. It was a lot more joyful to play. Mary Bacon as Kitty and CJ Wilson as Michael in the Primary Stages production of Happy Now? by Lucinda Coxon at Primary Stages at 59E59 Theaters. Directed by Liz Diamond. Photo credit: James Leynse. 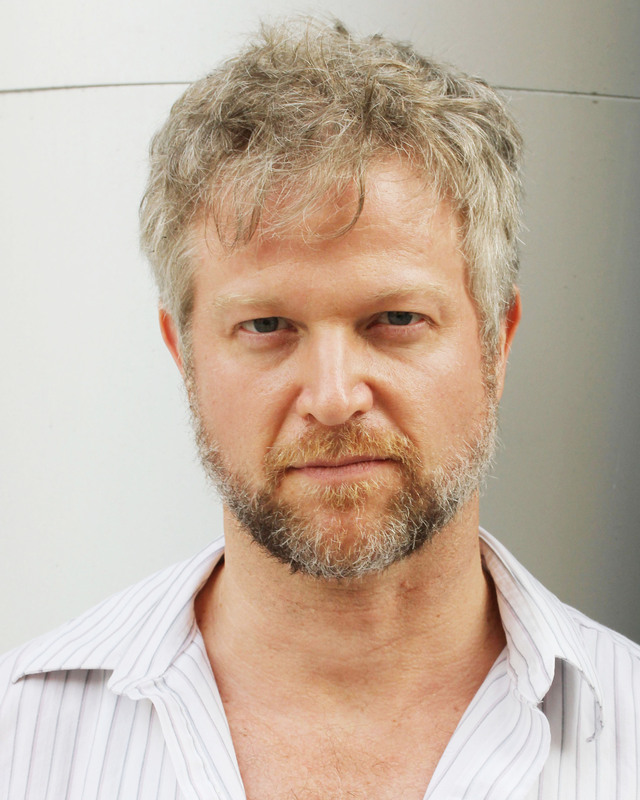 Regionally, he has worked with the Berkshire Theatre Group, Wilma, Shakespeare Theatre, Old Globe, Williamstown, ACT in Seattle, Fulton Opera House, McCarter, Syracuse Stage, Acting Company. On TV, he has guest starred on “Blue Bloods,” “Pan Am,” “Onion Sportsdome,” “Brotherhood,” “Without a Trace,” “Third Watch,” “Law & Order,” “Law & Order:SVU,” Law & Order: CI,” “Ed,” “New Amsterdam,” and “All My Children.” Wilson can be seen as a fireman in the summer release of Rob Reiner’s The Magic of Belle Isle, which stars Morgan Freeman and Virginia Madsen, and he has also appeared in the film Ghoul. 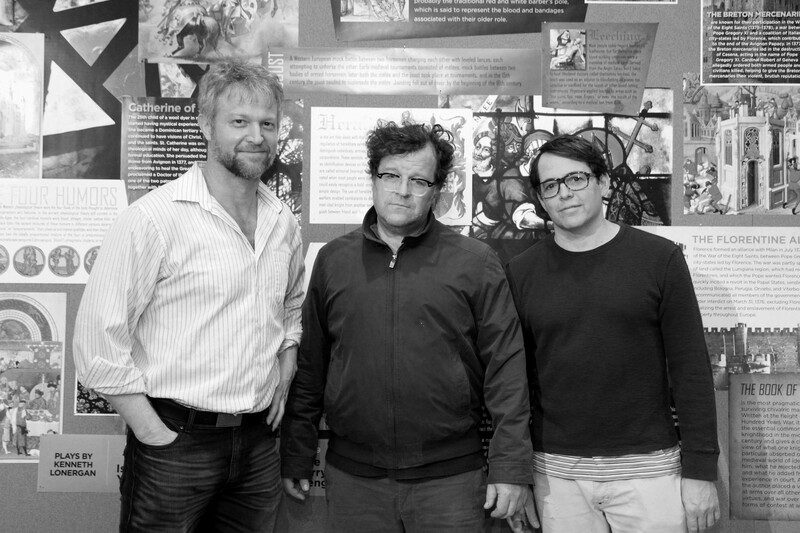 The design team for Medieval Play includes Walt Spangler (Scenic Design), Michael Krass (Costume Design), Jason Lyons (Lighting Design), David Van Tiegham (Sound Design) and J. David Brimmer (Fight Direction). The production stage manager is David H. Lurie. 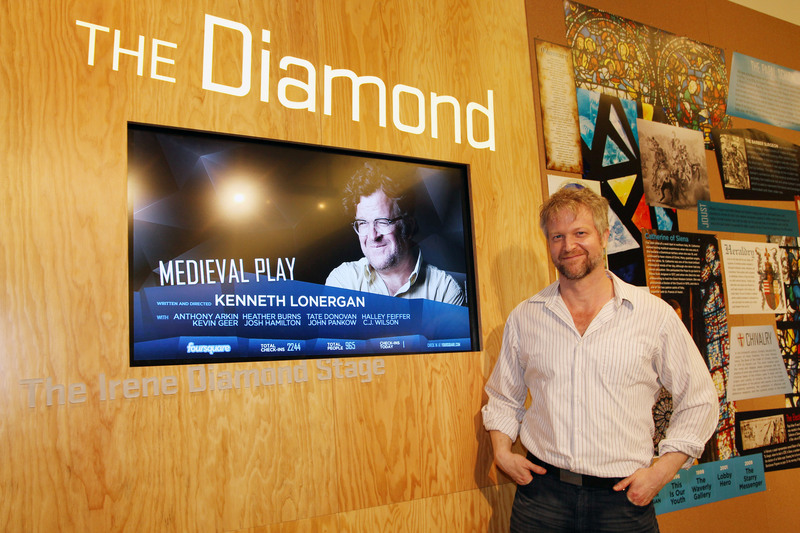 Kenneth Lonergan’s Medieval Play runs May 15 – June 24, 2012 with a June 7 opening night in The Irene Diamond Stage at the Company’s new Frank Gehry-designed home The Pershing Square Signature Center (480 West 42nd Street between 9th and 10th Avenues). Single tickets are now on sale for Medieval Play at the Signature Theatre Box Office (212-244-7529) and at signaturetheatre.org. Tickets are also on sale for Athol Fugard’s My Children! My Africa! and Will Eno’s Title and Deed. Tickets to the initial runs of all productions of Signature’s Inaugural Season at The Pershing Square Signature Center are $25, part of the groundbreaking Signature Ticket Initiative: A Generation of Access, a program that guarantees affordable and accessible tickets to every Signature production for the next 20 years. 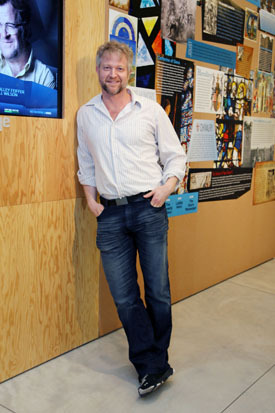 Serving as a model for theatres and performing arts organizations across the country, the Initiative was founded in 2005 and is made possible by lead partner The Pershing Square Foundation and founding sponsor Time Warner, Inc., with additional seed support provided by the Ford Foundation, Margot Adams, the Rockefeller Brothers Fund, and the New York City Department of Cultural Affairs. 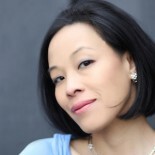 This entry was posted on May 18, 2012 by Lia Chang in Entertainment, New York, Theater and tagged A Steady Rain, ACT in Seattle, Acting Company, Anthony Arkin, Backstage Pass with Lia Chang, Berkshire Theatre Group, Blue Bloods, Brotherhood, C.J. Wilson, David Pittu, Ed, Festen, Frank Gehry, Fulton Opera House, Ghoul, Halley Feiffer, Happy Now? 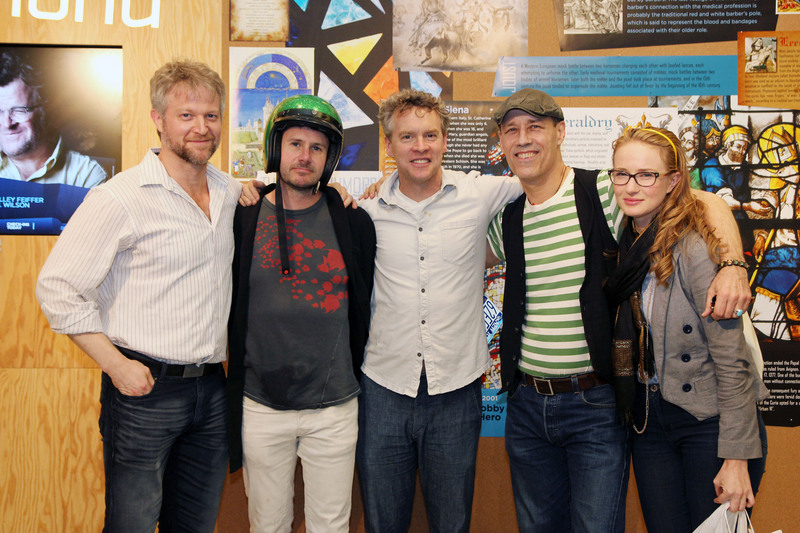 (), Heather Burns, Henry IV, Josh Hamilton, Kenneth Lonergan, Kevin Geer, Law & Order, Law & Order: CI, Law & Order:SVU, Lia Chang, Long Day’s Journey Into Night, McCarter, Medieval Play, New Amsterdam, Offices and Voysey Inheritance, Old Globe, Onion Sportsdome, Pan Am, Race, Shakespeare Theatre, Signature Theatre, Stop Kiss, Summer at Dog Dave’s, Syracuse Stage, Tate Donovan, The Best Man, The Cripple of Inishmaan, The Irene Diamond Stage, The Lady from Dubuque, the merry wives of windsor, The Pershing Square Signature Center, Third Watch, Williamstown, Wilma, Without A Trace.